I used to have this dining room. It had a table. Some chairs. A couple of pieces of wall art. And it was okay. I’m going to say the best word to describe it was this: functional. We had meals in there, some adult game nights. While there was nothing too special about but I liked it well enough. Years went by and I thought it was time for a new table as our old one was looking pretty beaten up. I shopped at Raymour & Flanigan and my dining room world changed. I NOW LOVE MY DINING ROOM. Like, if it wouldn’t be totally cheesy in a blog post, I’d be inserting a bunch of heart emoticons right here. It find myself walking by it and stopping to just admire how beautiful it is now and it makes me happy. The reason why is that the table I settled on was not in store so I couldn’t nab a photo. I have actually been eyeing up this set for years but it wasn’t until I saw it in person at a friend’s house that I realized how perfect it was for us. Introducing our new Dining Room Table: the Vineyard Dining Set. 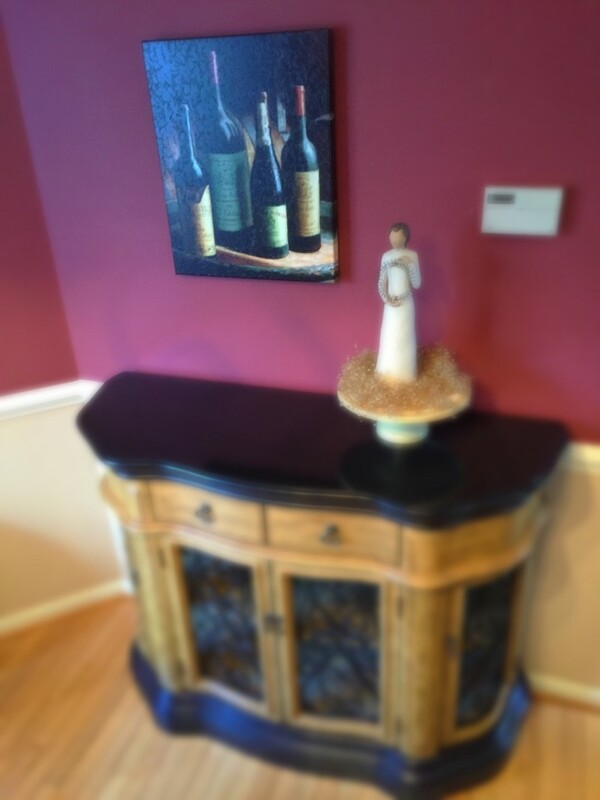 And doesn’t this wine wall art (also from Raymour & Flanigan) look wonderful above it? That’s the thing that I’ve learned about Raymour & Flanigan while working on this campaign with them -shopping there has gone beyond just furniture to me, it’s about completing a room. 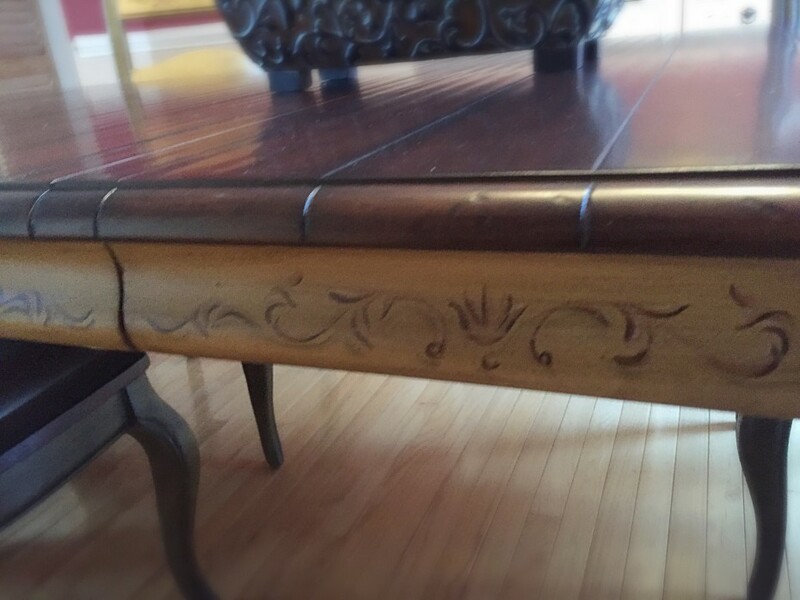 Some of their accessories are just the finishing touch that makes a room. 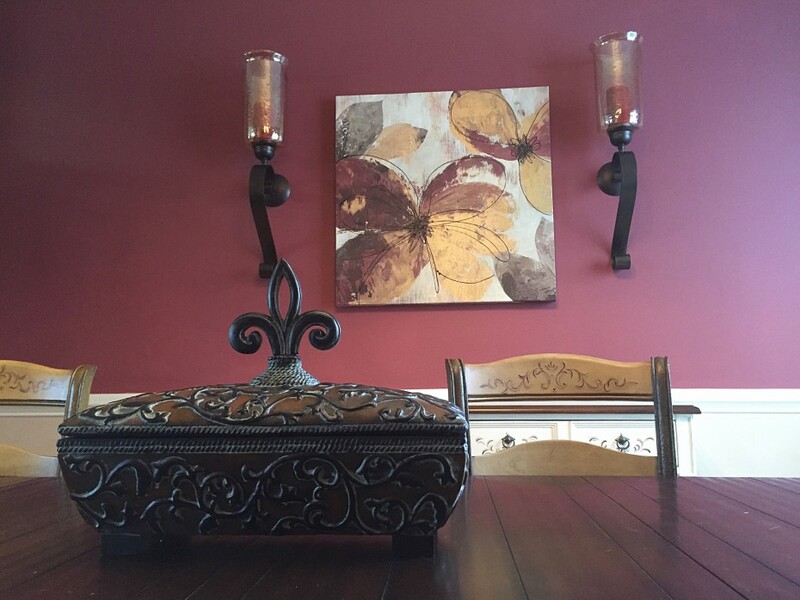 My other love in the dining room is an accessory – this Fleur de Lis box. Truly – I’ve been eyeing up this box for years but it seemed like a silly splurge. I was telling my Raymour & Flanigan sales woman (Alice – she’s the best! Ask for her if you are local to me and shop in the Exton store!) how I’m always finding this box in the show room whenever I go and as I told her that, I realized I should just get it! Doesn’t it look great on top of the dining room table? I’m thrilled with the look of the new room and can’t wait to host Thanksgiving next week. I’ll be sure to take pictures and bring you photos of that day too because I’ve already gone nuts with the planning and bought all new plates – it’s going to look gorgeous! Disclaimer: This has been a sponsored post withRaymour & Flanigan. As always, all thoughts and opinions are my own. Whitney, I LOVE IT!!!!!!!!!!!!!!!!! It is just perfect. I find picking out furniture so stressful — Its SUCH a big investment. I’ve been shopping for a new kitchen set for like two years now! What a gorgeous table. The woodwork is beautiful. I love the redo. Awesome! I loved how it turned out especially all the added accessories and decor! NIce job, Whitney. Set is very nice as well as being so useful. 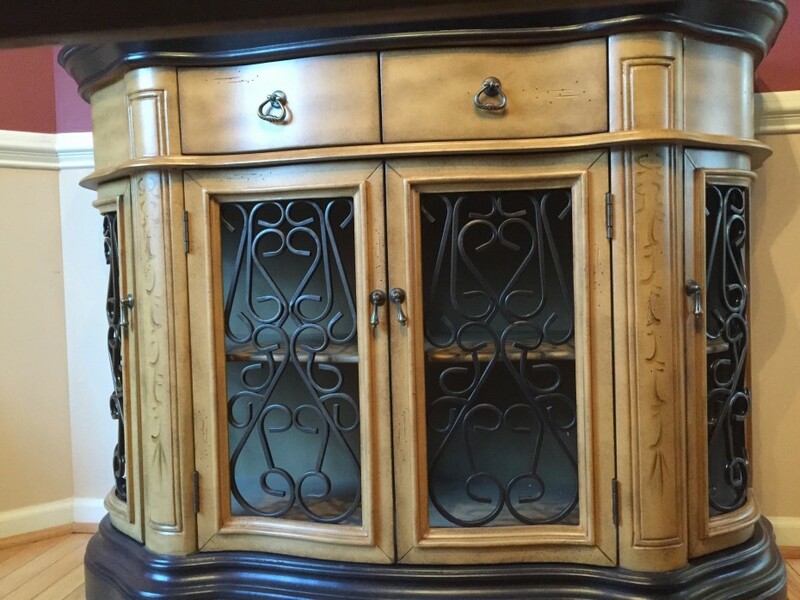 You will enjoy more fun dinners now that you have the room! Can’t wait to see the Thanksgivng day photos! 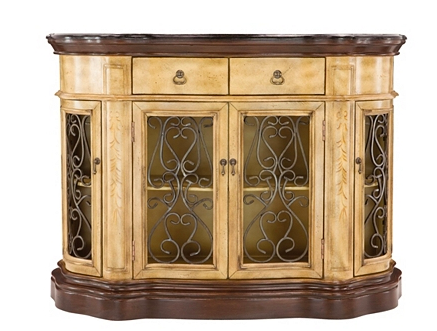 The Canterbury Credenza is a perfect fit for your room and looks fabulous. PS love the wine print too! Oh my goodness, I LOVE your table!!! Funny thing, I have almost exactly the same colour paint on my walls. I’m so jealous… I wish I had that dining room. Love the vintage feel the set brings to the room. WOW! What an incredible set. 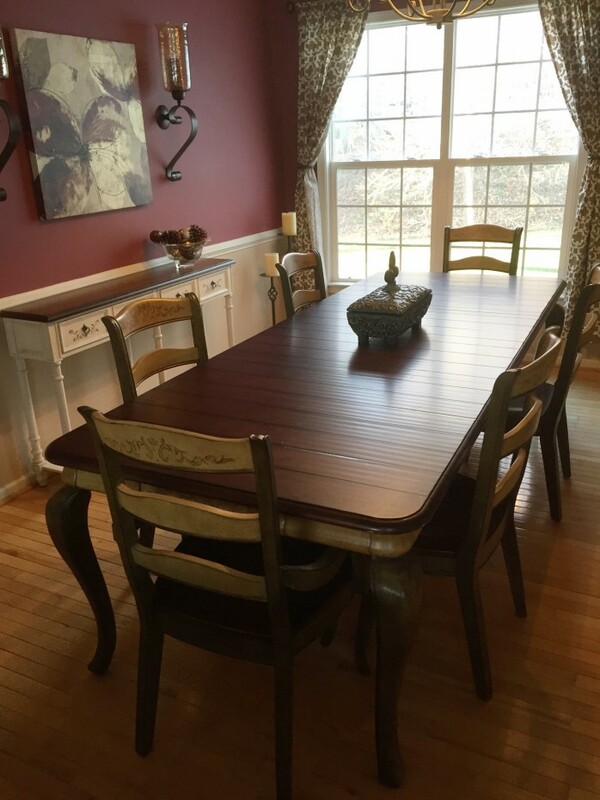 I am DYING for new dining room furniture. Our’s is an awful hand-me-down hodge podge. Love your room! Your house is beautiful!!!! I love the new furniture.